The regular meeting of Rheumatology Section of the Serbian Medical Society, organized by the Clinic for Rheumatology Military Medical Academy was held at the Military Medical Academy. 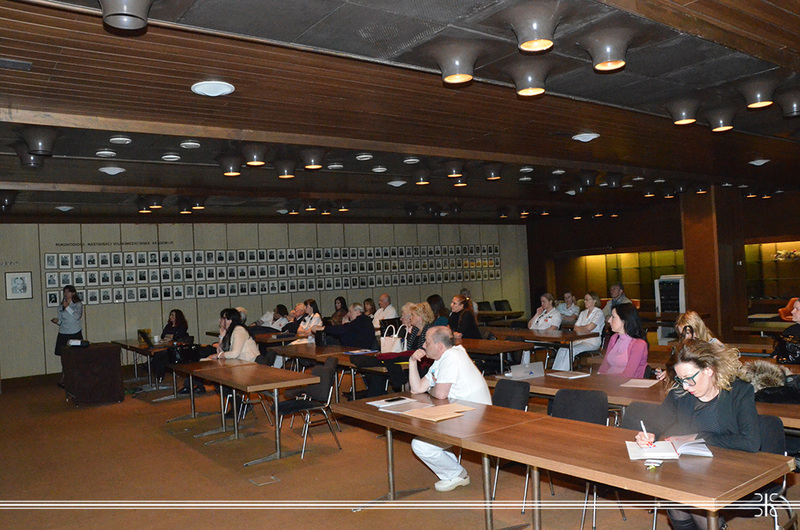 In the opening session of the meeting Colonel Prof. Dr. Milan Petronijevic from the Rheumatology Clinic of MMA and President of Rheumatology Section of SMS Prof. Dr. Marija Perovic Radak addressed the participants and announced lectures. Lecture by Dr. Silvija Stevic Carevic was dedicated to Cogan’s syndrome and experience of the MMA Clinic for Rheumatology in treating this rare autoimmune disease of unknown causes. Due to the illness of unknown etiology it was discussed about the ways of diagnosis and the necessity of close cooperation of specialists in ENT, rheumatology and ophthalmology in treating these types of patients. The importance of accurate records keeping of individual cases of patients was tackled in order to understand the pathogenesis and efficacy of treatment. The following lecture on the role of insulin resistance in the development of atherosclerosis in patients with rheumatoid arthritis was delivered by Dr Gorica Ristic also from the Rheumatology Clinic of MMA. She presented the similarities in the pathophysiology of insulin resistance and rheumatoid arthritis, and the results of patients with rheumatoid arthritis treated at the MMA from 2004 were pointed out. Stated statistical data are important both for the prevention of cardiovascular diseases and better therapy of patients, as well as for further investigation of this systemic autoimmune disease.